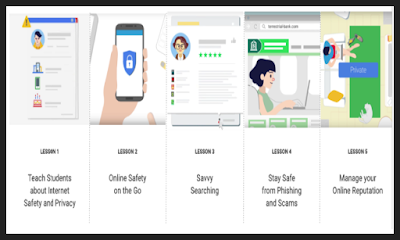 Google has recently launched a free online training course for teachers and educators to help them learn more about the concept of digital citizenship. The Digital Citizenship and Safety Course offers a wide variety of materials and tutorials geared towards educating teachers on the best strategies to integrate the ethos of digital citizenship into their curriculum. Upon the completion of the course, teachers will get a recognition badge and a downloadable Digital Citizenship and Safety Curriculum that they can use with their students in class. ‘1- Teaching students about internet safety and privacy, including setting strong passwords and privacy settings. 2- Staying safe on the go by securing your mobile device and avoiding harmful downloads on your smartphone. Staying safe from phishing and other scams. Check out this page to learn more about this course.